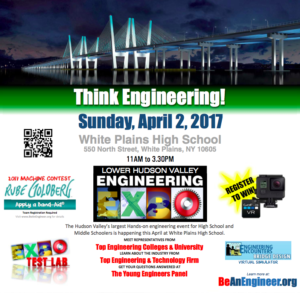 The Hudson Valley’s largest hands‐on engineering event for high school and middle school students is happening again on April 2nd at White Plains High School from 11 am to 3:30 pm. Attendees will get the chance to meet representatives from top engineering colleges and universities, learn about the industry from top engineering and technology firms, and get career questions answered by a panel of young practicing engineers. There will also be robots, computer challenges, and interactive demonstrations! 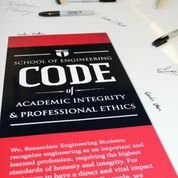 This event has been attended by thousands of students for years now and continues to be a major source of inspiration and information to future engineers and their parents about engineering careers. Click the below image for information about the event and we hope to see you there! ALBANY, NY (July 18, 2016) – The University at Albany is well poised to expand and grow its first-ever engineering program. University officials today announced that the New York State Education Department formally approved UAlbany’s Bachelor of Science degree in computer engineering. The University will bring on 14 highly respected faculty members to the new College of Engineering and Applied Sciences (CEAS). These moves fully support the increased student, parent and business community demand for engineering majors. 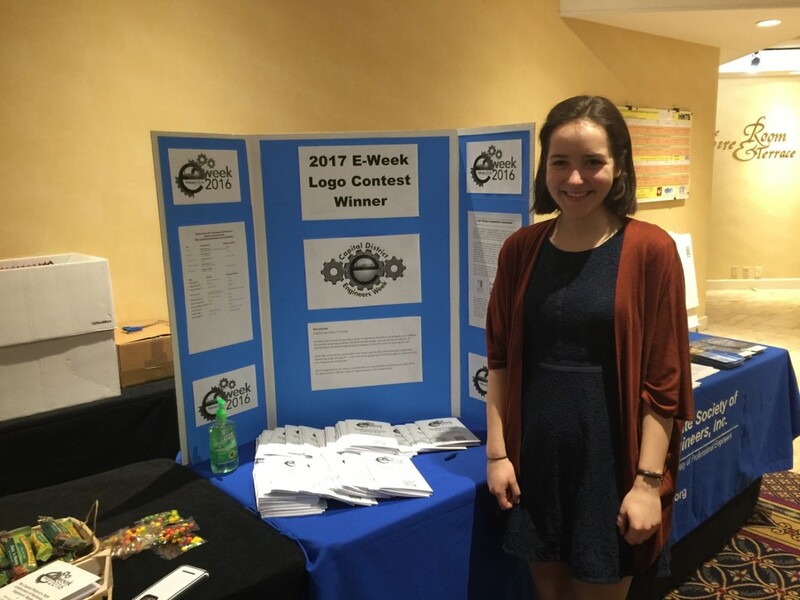 The New York State Society of Professional Engineers (NYSSPE) recently participated in the 36th Annual Capital District E-week celebration. The NYSSPE is one of more than 10 Professional Associations that work together to make this event happen. 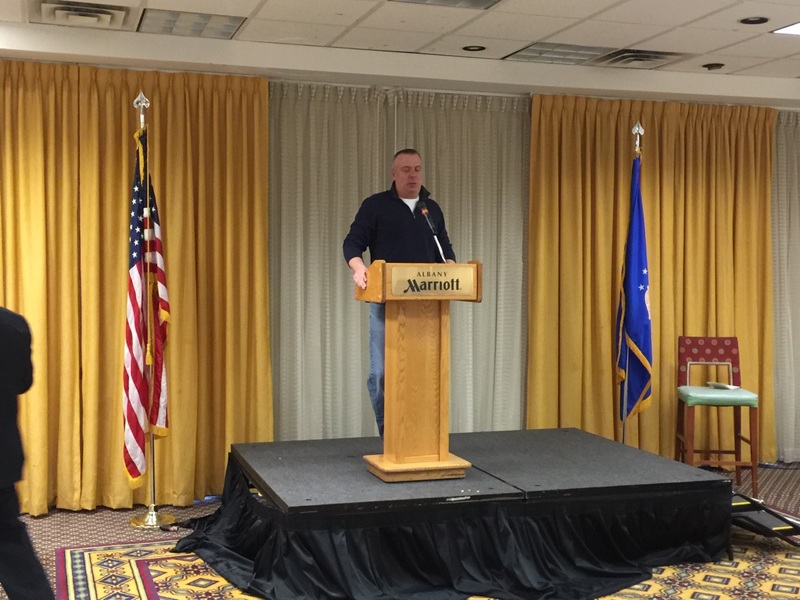 The event this year was again a huge success. Over 830 engineering professionals from across the state attended the event! There were 65 continuing education courses offered for engineers during the event as well as a model bridge competition for high school students, 42 exhibitors and the Capital District’s Future City winners and Robotics team. Jason Gough News Channel 13 was the keynote speaker at Thursday’s lunch, where he spoke to attendees and students about the importance of engineering. News Channel 13 Jason Gough during his keynote at Thursday’s lunch. 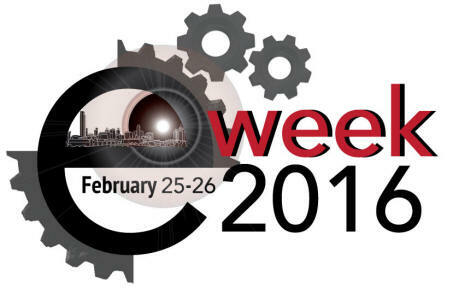 Once again, the Capital District E-Week Committee reached out to the younger community for an opportunity to create a logo for next year’s event. This competition served to find a logo for the February 2017 event and was limited to students, 18 years of age and younger. Below is the 2017 logo winner. This is a re-print with the author’s permission. This article was written by by Joseph Dombrowski, PE Monroe Chapter President, based on information from the NSPE website (referenced below) and published in the The Rochester Engineer in August of 2014. 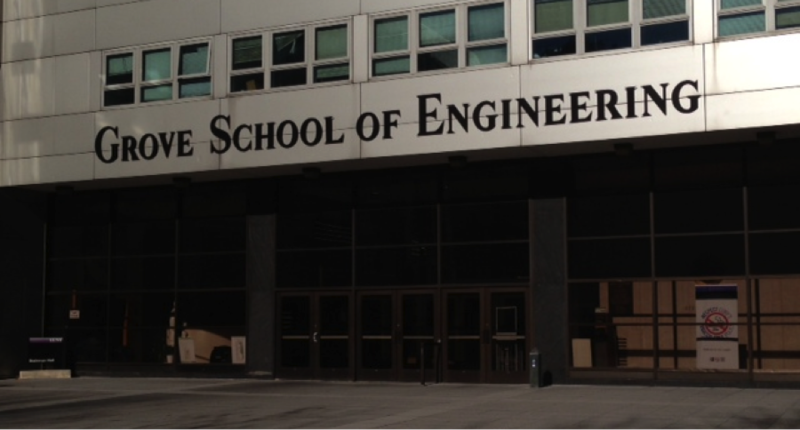 Whether a recent college grad or a seasoned engineer, the P.E. after your name is a crucial advantage that opens doors and gives you a leg up on others for the rest of your professional career. For students, choosing to start on the path to licensure is one of the most important decisions they will ever make. It’s been a busy few months with respect to engineering education for the New York State Society of Professional Engineers, as promised by President Keith Lashway, PE. 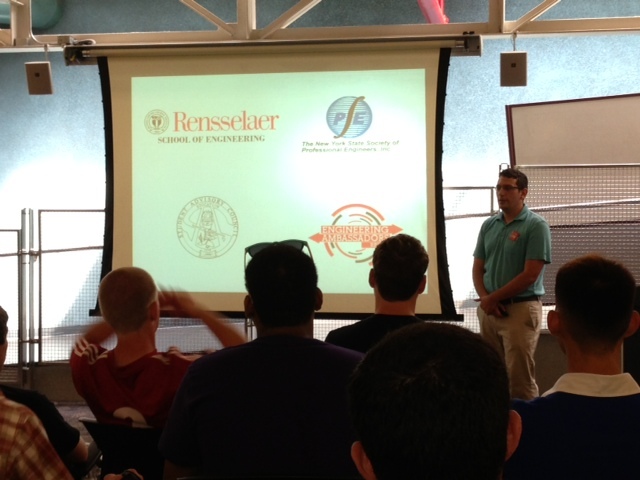 NYSSPE representatives have visited Rensselaer Polytechnic Institute (RPI), Buffalo University, and Clarkson University over the past few months and these past few weeks were at it again in New York City. The New York State Office of the Professions has released information regarding the new registration and eligibility procedures for the NCEES Fundamentals of Engineering (FE) Computer Based Examinations to begin in 2014. Becoming a licensed professional engineer is a great accomplishment. Many doors open and many opportunities become available for engineers that are able to obtain a P.E. license. There are a number of steps that are involved in the process for obtaining a P.E. license, which include passing two major exams. The entire process can take a number of years to complete. However, the benefits from completing this process are invaluable to an engineer’s career. 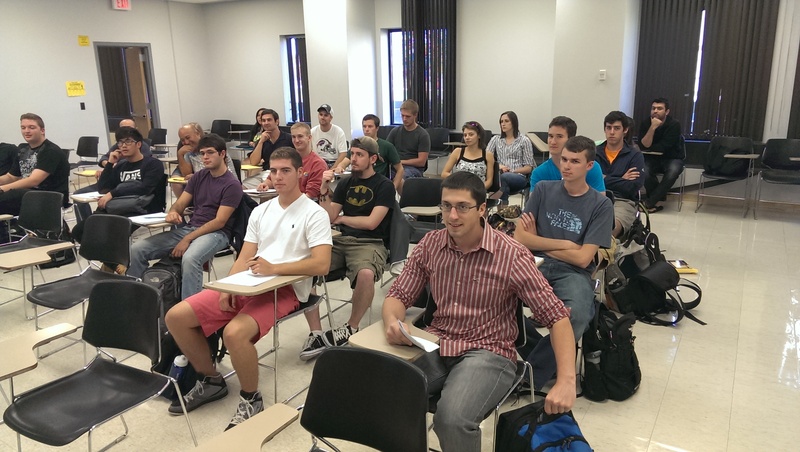 On Wednesday, September 18, 2013, the New York State Society of Professional Engineers visited the University at Buffalo and gave a seminar on resumes, interviewing, and obtaining your engineering license. The presentation was given by NYSSPE President Keith Lashway, PE; NYSSPE Erie/Niagara Chapter President Ed Szpala; and NYSSPE Executive Director Anthony Fasano, PE. Approximately 30 students attended the event, which lasted a little over an hour and prompted many questions from the students. Many of our New York State Society of Professional Engineers (NYSSPE) refer to the Fundamentals of Engineering (FE) exam as the NYS FE exam however this is a national examination. Beginning in January of 2014 the National Council of Examiners for Engineering and Surveying (NCEES) will offer the FE and Fundamentals of Surveying (FS) exams exclusively on computers. These new computer based tests (CBT) will be offered at Pearson VUE testing centers across the United States. If you are taking the exam in the State of New York, you will have to follow the proper registration procedure which is currently being developed by the New York State Education Department. Once this information is available we will post on our site and link to it from this article.